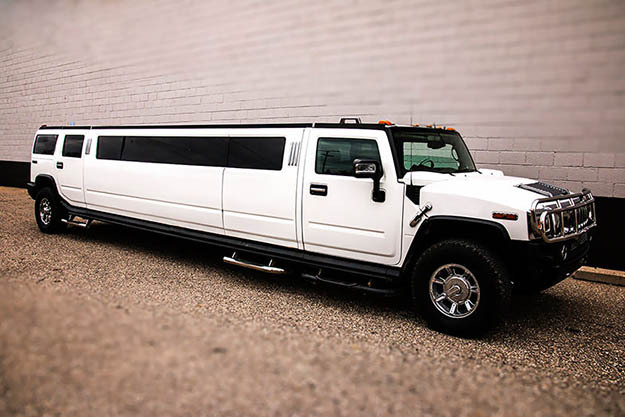 This limousine is guaranteed to make a great first impression. The elegant yet handsome appearance makes it able to accommodate any event. 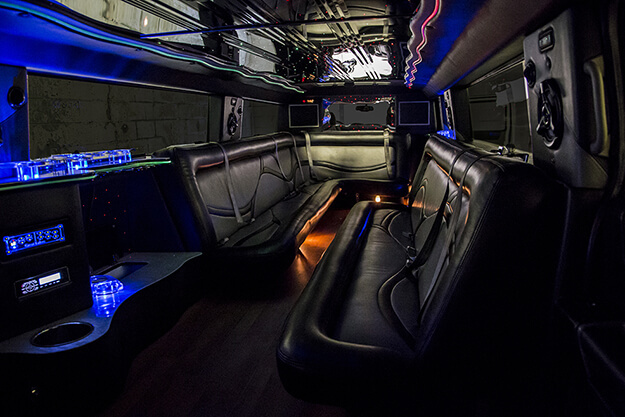 You'll forget that you're in a vehicle when you board this great limousine. 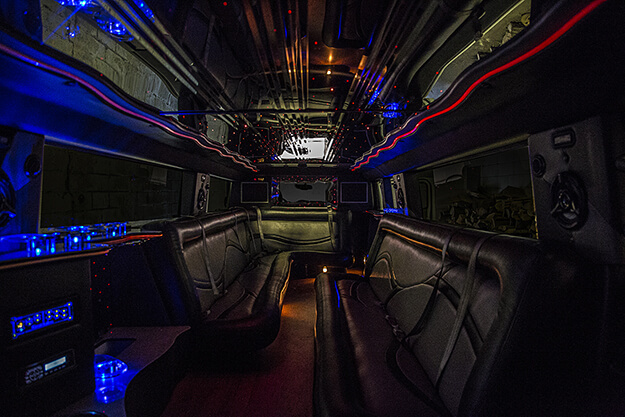 Sit back and relax into the custom leather seating while the ambient neon lighting washes over you. It's an experience to savor! and an even better transportation experience! You'll have a premium bar area to enjoy drinks, as well as an MP3 capable stereo system for a customized playlist. There are tinted privacy windows as well as ample legroom. There's no better option for limousine transportation in the area!